Star Trek Ongoing #3 Cover. . HD Wallpaper and background images in the Zoë Saldaña as Uhura club tagged: star trek nyota uhura zoe saldana st 2009 comics comic book. 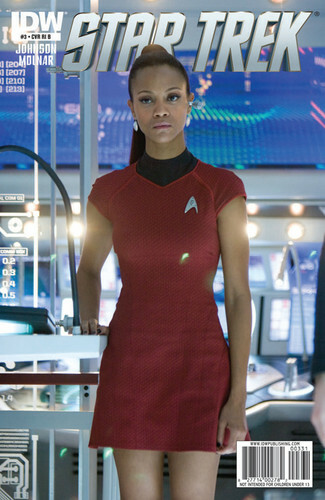 This Zoë Saldaña as Uhura photo might contain bare legs, pantyhose, skintight pants, skintight, hosiery, hose, tights, and leotards.